Virginia Beach Parks & Recreation is officially doing away with fees for use of its three dog parks and three skate park facilities. 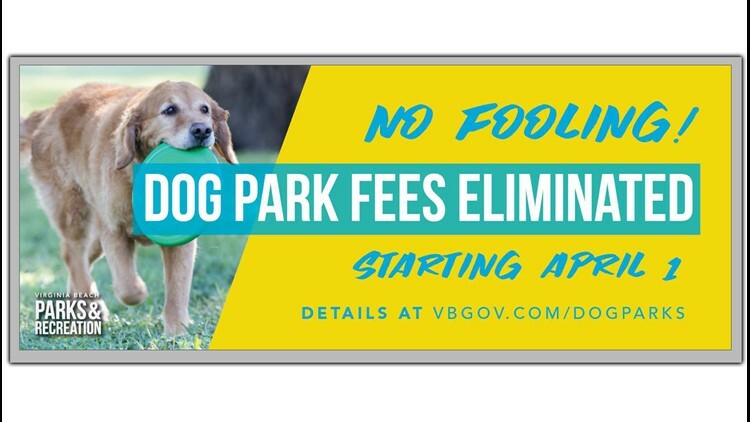 VIRGINIA BEACH, Va. — Virginia Beach Parks & Recreation is officially doing away with fees for use of its three dog parks and three skate park facilities on April 1. Virginia Beach Parks & Recreation made the announcement on its Facebook Page Sunday. According to a news release, between February 1 and March 31, new users will be charged a small one-time prorated fee. Existing customers whose passes expire before March 31 will have their pass extended at no additional charge. "One of the department's goals is to increase public access to parks and programs for our residents," Parks & Recreation Director Michael Kirschman said. "At the end of the day, we just want people to take advantage of our city's incredible outdoor recreation amenities and make it as easy as possible for them to do that. And with more dog parks planned in the near future, access should continue to improve and be easier than ever before."